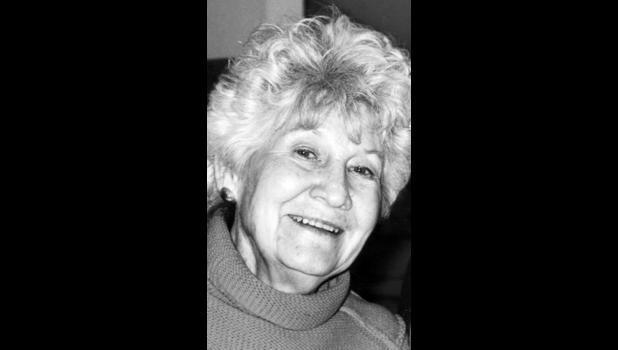 Mrs. Lucille H. Brown, age 91, of Jefferson City, Mo., passed away Monday, April 1, 2019. She was born on March 24, 1928, in Mayetta to Ted R. and Lucy Scheidegger. She graduated from Holton High School in 1947. Lucille was married to George Bell in 1947 and he preceded her in death in 1951. She later married Wm. G. Brown on Nov. 1, 1952, and he also preceded her in death on March 8, 2000. Survivors include two daughters, Linda “Lynn” Waisner (husband Gary) and Renae Scheperle Korsmeyer, both of Jefferson City, Mo. ; two sons, Mark Brown (wife Stephanie) of Jefferson City, Mo., and Robb Brown of Nixa, Mo. ; one sister, Kay Steinbrink (husband Gary) of Kansas City; three grandchildren, Kristopher Scheperle (wife Jennifer), Tyler Brown (wife Stacy) and Jennifer Brown (fiancé Joshua Long); and seven great-grandchildren, Hannah, Charlie, Elly and Adam Scheperle, Calla and Clara Brown and Quinn Long. She was preceded in death by her parents; both husbands; one grandson, Adam Aaron Scheperle; two sons-in-law, Keith E. Scheperle and Clyde Korsmeyer; and one sister, June DeBarge.